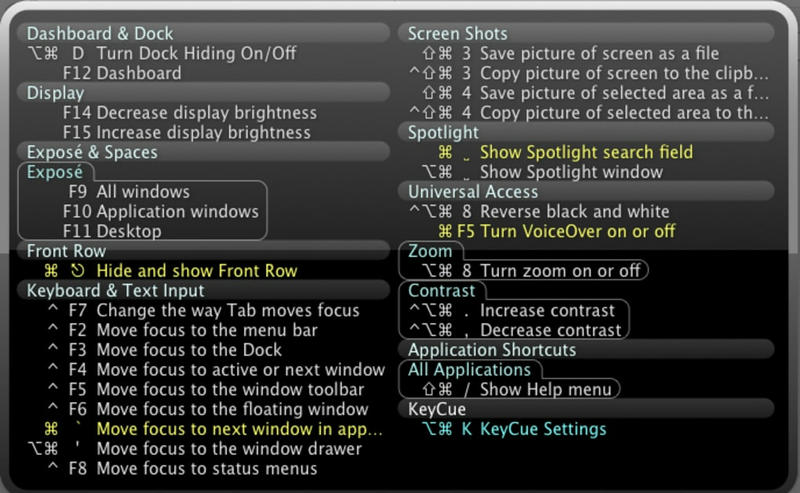 The Mac environment is built to make full use of keyboard shortcuts, yet very few people know exactly how to use these. Especially if you've recently switched to Mac from Windows, you may find this frustrating. 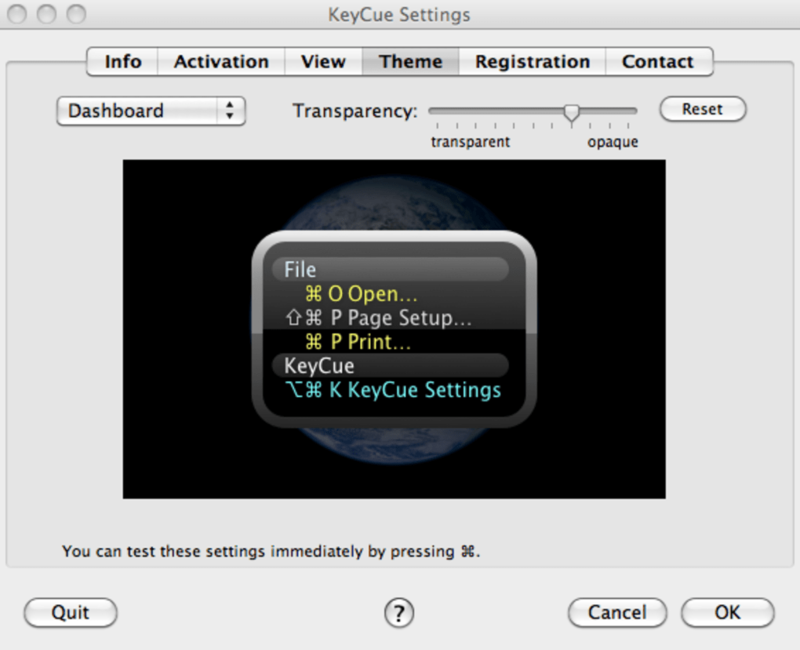 KeyCue is a simple and very effective application which reveals all the available keyboard shortcuts available on your Mac. Just hold down the CMD key and the list of shortcuts will appear in the foreground in a few seconds. The window takes a few seconds to appear and sometimes I found it took a while to respond bit generally it responded fairly quickly. 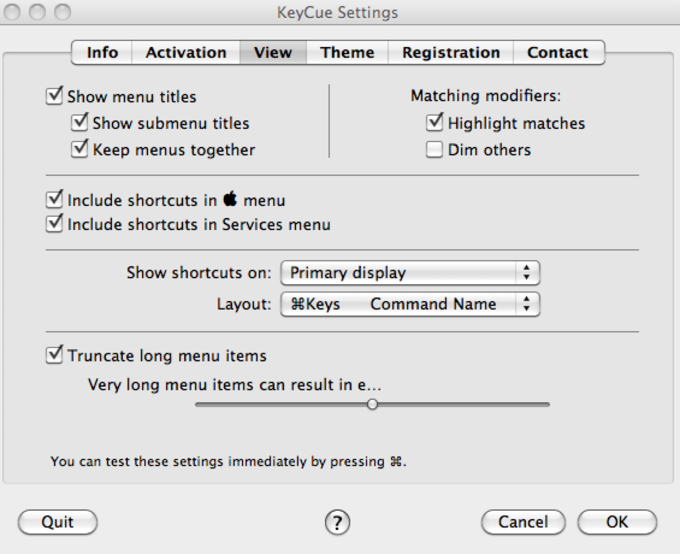 KeyCue is a great tool to discover and learn all the keyboard shortcuts on your Mac especially for those who have recently switched from Windows. Compatible with OS X 10.8 Mountain Lion. The Installer's completion sound now plays through the "sound effects" channel and respects the alert volume as defined in System Preferences. Fixes an issue during editing of custom shortcuts that caused group titles to appear white on white. 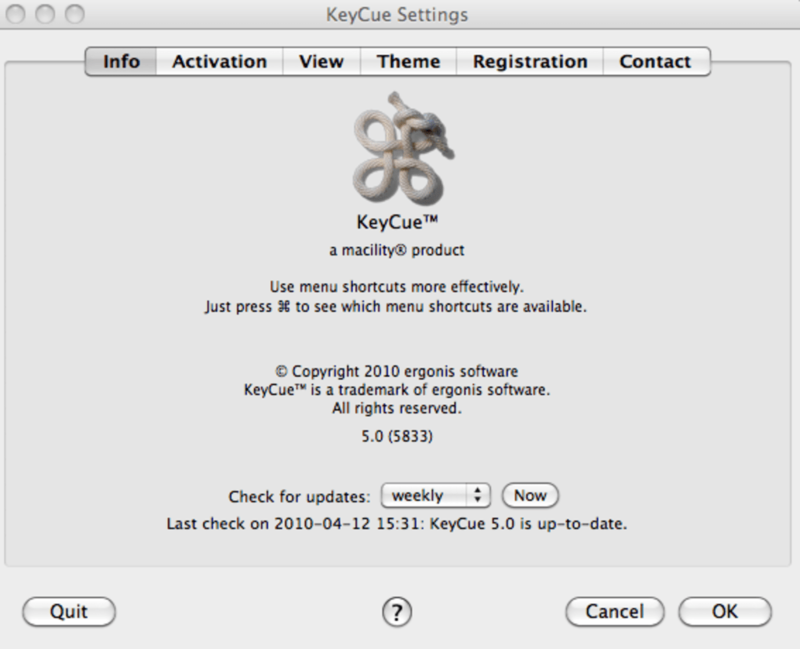 New technique for adding KeyCue to the list of Login Items now also works for Mountain Lion. Improves handling of the "start at login" setting in cases where the KeyCue application was renamed. The installer now uses an improved technique for finding the preferred destination location. 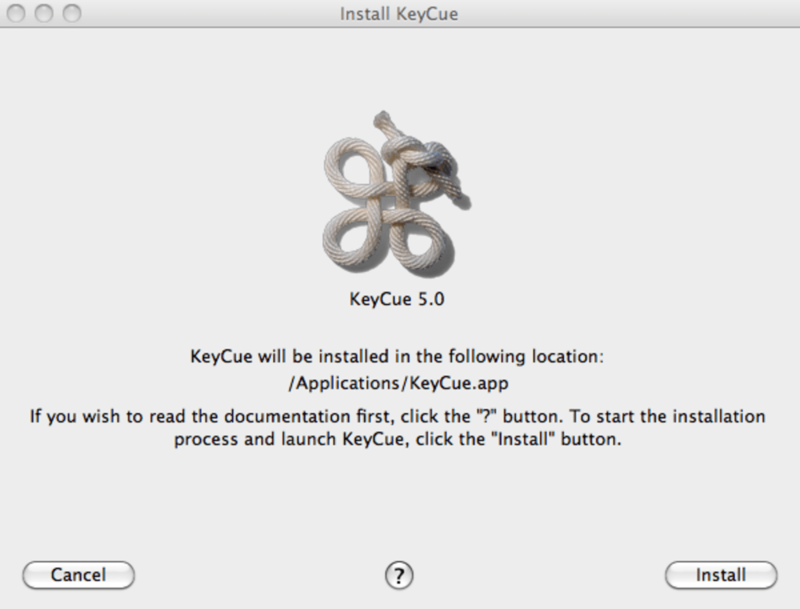 KeyCue helps you to use your Mac OS X applications more effectively. Just hold down the Command key for a while - KeyCue comes to help and shows a table of all currently available menu shortcuts. When you have found the desired shortcut in the KeyCue table, just type it and continue working as usual. The KeyCue window will disappear automatically. You no longer need to memorize and remember key combinations, just press the command key and KeyCue tells you what you want to know. Over time, you will automatically remember frequently used shortcuts and become a power user of your favorite applications, working much more efficiently. What do you think about KeyCue ? Do you recommend it? Why?